So you need to find a way to publish material regularly, but in a way that takes the minimum amount of time. 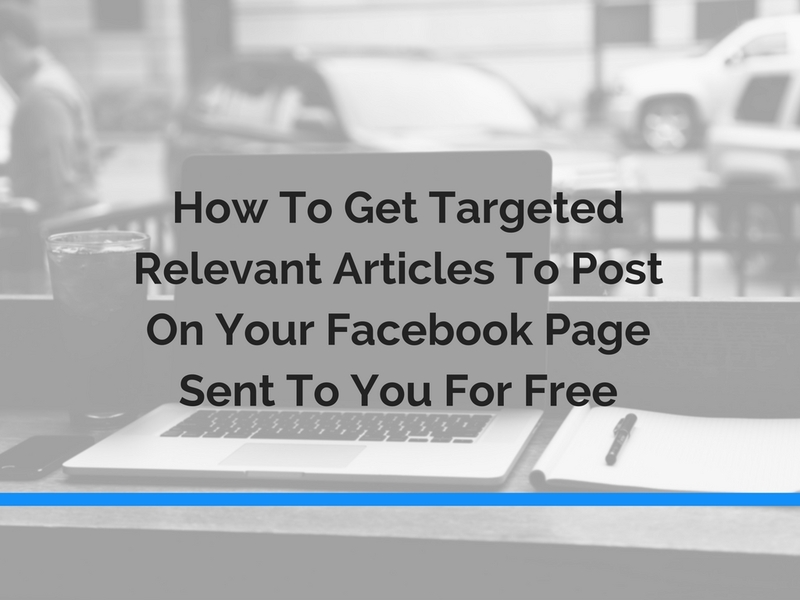 This 7 minute video takes you through the exact process to follow to get highly targeted relevant articles sent to your inbox for free, on any topic you’d like. We also run through how to batch post these articles to your Facebook page so they can be drip fed out over the next weeks or month. It’s so simple you could easily outsource this to one of your team members and have them implement it tomorrow. Click the play button to watch now.